The iTel P31 comes with a 5.0 inch display and boasts of a 1.2 GHz Quad core processor with Android 6.0, Marshmallow. It also comes with a 1 GB of RAM, an internal memory of 8 GB. It has a back/ rear camera of 5 MP and an 5 MP front camera with a 5000 mAh Li-Po battery capacity to push all this. Below are Online stores you can buy iTel P31. The Online stores Jumia, Gearbest and Konga. $60 – $80 Check the Price in your country below by Clicking on Checkout Lowest Price to get the best deal and buy online. The iTel P31 comes with dual SIM slots and supports the 2G, 3G but does not support 4G LTE Band for its connectivity. It has inbuilt with it Wi-Fi capability and the ability to create Wireless Hotspots. The iTel P31 comes with a display of 5.0 inches. It uses the IPS LCD display technology. It has a resolution of 854 by 480 pixel. The display is quite good quality for phones within this price range. The iTel P31 boast of a Quad (Four) Core processor clock at 1.2 GHz, the chipset is the MediaTek. The GPU is the Mali. The iTel P31 also comes with a 1 GB of RAM, an Internal Memory (ROM) of 8 GB. The storage space can be expanded via the micro-SD slot (Maximum allowable Storage for Micro-SD is 32 GB and it uses a dedicated slot). 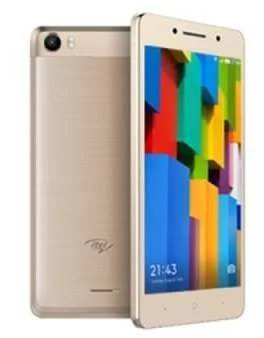 The iTel P31 comes with Android 6.0, Marshmallow out the box. The iTel P31 makes use a 5 MP back or rear camera with LED flash and an 5 MP front camera with LED flash light. The iTel P31 has a battery with the capacity of 5000 mAh. The Battery uses the Li-Po technology and it is non removable. This battery could last for a day on an average heavy usage. It is asking for your Gmail address, so please do provide. You can go and try out, but you should be with a little money in case there is need for addition to get the 4G LTE version. Please do check if the memory card is good. But I use same this same itel p31 you people are complaining that is useless. I haven’t discovered any flaws in it. They phone is very ok. The problem with many users of this phone is that, they tend to fill it up with files. Files make your phone to be slow. So, before you start loading your phone with bigger files. First put an external storage. Please how do I direct my Itel p31 to move the application datas stored on the internal storage to my external storage. I hope you understand me. The device only has 8gb inner space and it kept on complaining internal storage full while I still have 32gb external storage free. How do I go about it, please reply so I can know my fate, good news or a bad one. Pls am confused about the inner memory and the version. My friend’s own has 3.5gb and 7.0 android version and i saw 8gb and 6.0 on net, pls expantiate this. And does the phone get hot when being used for hours? Or any defect B4 i buy it. Thanks 4 replying back. Go to Settings, go to System -> Sound and Display -> System volume you can set it, the power on/off sound or touch feedback. Please is it the touch of the phone is slow? the phone is stupid,only 8gb space of which almost 4gb has been used for system files…..the phone touchpad is useless the phone is a waste of money…..DO NOT BUY!! !